Comp-U-Max look at the site in totality and propose balanced recommendations on a number of objective criteria, both research oriented and from experience, that address collectively branding, functionality, content and usability core issues. Web strategy has to be founded on quantifiable data, such as user research, online surveys and usability testing. This ensures that all strategic decisions made relating to the site’s design and development are validated. From reviewing a site's log activity to implementing tools to ensure ongoing comprehensive tracking of site activity is available so that improvements can be monitored. We put in place actions and completion dates. We review existing and potential online products and services. We define market needs & user needs. We analyse market trends and your positioning. We identify front-end & back-end requirements. We carry out site traffic forecasting & sales forecasting (if appropriate). We put in place achievable financial goals. 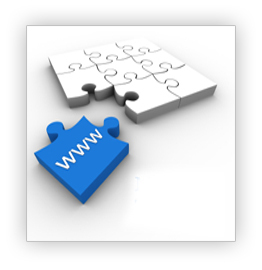 We deconstruct your existing web presence. We analyse competitors’ online presence. We check your online branding and messaging. We assess resource & budget requirements. We put in place controls to track performance.